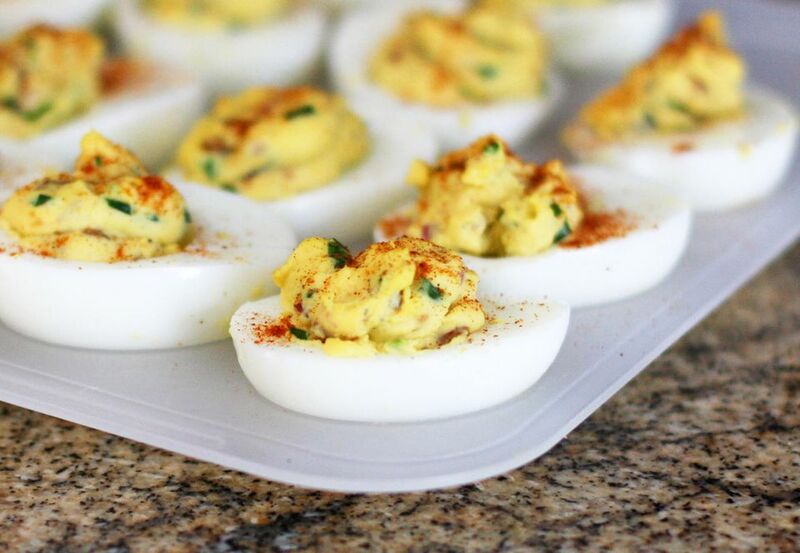 These simple, classic deviled eggs are flavored with sweet relish and a little mustard. Add as much or as little mayonnaise as you like. Peel the eggs carefully and cut them in half lengthwise. Set the halves on a platter or egg tray. If you cut a very thin slice from the bottom of the eggs, they will not wobble. Remove and mash the yolks; combine 1 1/2 tablespoons of mayonnaise, mustard, and relish. Taste and add salt and pepper, as needed. Add more mayonnaise, if desired. Refill the centers of the egg halves with the yolk mixture. Garnish with a sprinkling of ground paprika.